What is the Best Juicer for Your Lifestyle? While you may think that buying a juicer is an overwhelming experience, it really doesn’t have to be. With all the different types, prices, brands and manufacturer claims, it can have your head spinning in no time. However, once you know the main types of juicers, you can easily choose the one that fits your lifestyle. 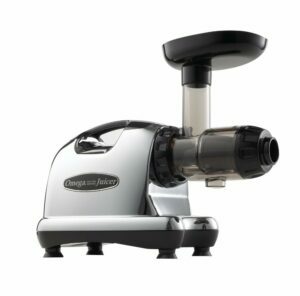 Centrifugal Juicer- Centrifugal juicers feature a fast-spinning grater that shreds your fruits and vegetables. Once these are grated, they go through a strainer and shoot out the spout. The pulp gets separated into a catch basket. These juicers are simple to clean, easy to use and makes juices in a jiffy second. Also, centrifugal juicers are compact so they don’t take up much space. 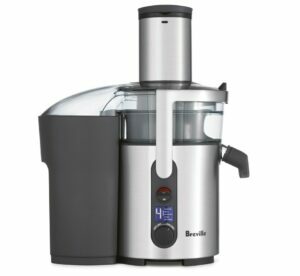 Two of the more popular brands of centrifugal juicers are the Breville Juice Fountain Multi-Speed and the Jack Lalanne Power Juicer Pro. 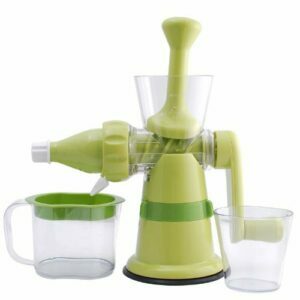 Masticating Juicer- also called single gear juicers, cold press juicers and slow juicers. These juicers work by using one gear that is designed to slowly chop up the fruits and vegetables and then shoots the juice through a stainless steel screen. This slow action ensures that the nutrients are released into the juice. 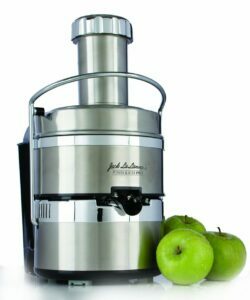 The most popular brands of masticating juicers include the Omega Nutrition Juicer and the Champion Household Juicer. Twin Gear Juicers- work by slowly pushing the fruits & vegetables in between a pair of gears until the pulp is almost dried and most of the juice is squeezed out. With twin gear juicers, the juice will stay fresh for about 3 days. Also, these types of juicers produce a higher nutritional value. These juicers also make ice cream, nut butters and vegetable pates. 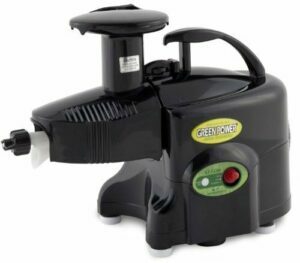 Two of the more popular brands of twin gear juicers are the Samson Green Power Twin Gear and the Green Star Elite Jumbo Twin Gear Juice Extractor. Wheatgrass Juicer- work by extracting the juice from wheatgrass fibers. 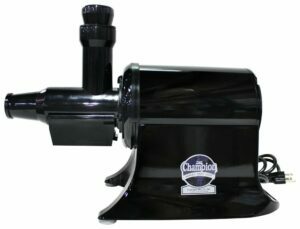 Some wheatgrass juicer models are made just for wheatgrass while other models also work for leafy greens as well as some fruits and vegetables. 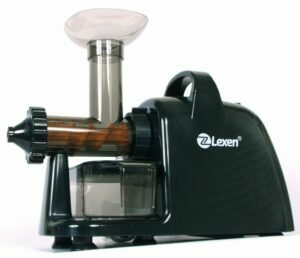 The most popular brands of wheatgrass juicers are the Lexen Healthy Juicer and the Chefs Star Manual Hand Crank Juicer. What do you like to put in your fresh juice?